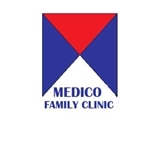 Medico Family Clinic (Falls Church) - Book Appointment Online! Dr. Zia and his entire staff was very kind to me. This was my first visit, and I will definitely return.